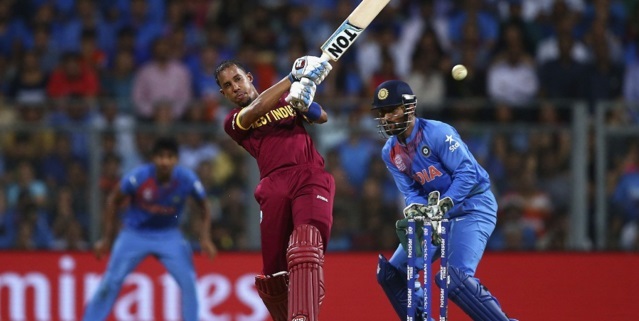 Lendl Simmons produced knock of a life time when he scored unbeaten 82* runs of just 51 balls to help West Indies chase down a massive 193 runs target set by India. West Indies reach their second Twenty20 final which will be against England on Sunday, 03 April 2016 at Eden Gardens. 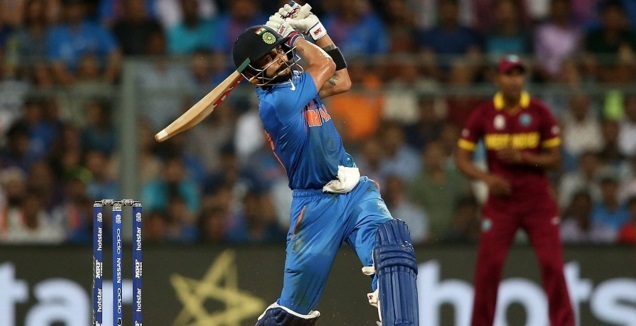 Virat Kohli’ 89 of just 47 balls had fired India to what looked like a very steap target to chase but credit to West Indies they pulled off a stunning win with Lendl Simmons being start of the show. West Indies won the toss and elected to field first and it looked like a strange decision as the pitch was bit of a belter. Rohit Sharma (43 of 31 balls) setup India for a grand stand finish in later overs and Virat Kohli took over from his last game expoits scoring at a rapid rate and finished with unbeaten 89 of just 47 balls. Only downer of India inning was the fact that Ajinkya Rahane consumed too many balls and scored at a very slow rate compared to what position India were in at in the middle overs. India should have scored 210+ on this wicket after the start they got. 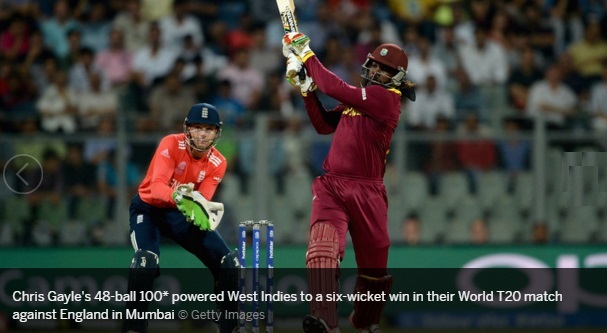 Having said that 193 was by no means easy and West Indies had to bat out of their skin the win from there. India looked set to be on there way to final when they dislodged Gayle and Samuels early but Johnson Charles 52 of just 36 balls provided a decent platform for middle order. 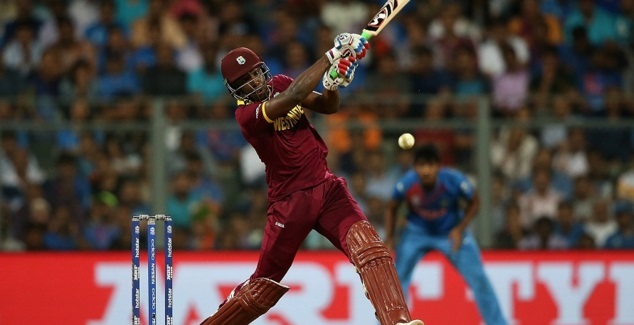 Where Lendl Simmons excelled superbly with a incredible cameo of Andre Russell who scored 43 of just 20 balls including 4 massive sixes to see West Indies home. Preview: India or should I say Virat Kohli defeated Australia in the last group game to seal India’s passage to knockout stage (Semifinal) where they will play winners of Group 1, West Indies. It will be a massive game and will be played at Mumbai’s Wankhede Stadium on Thursday, 31st March 2016. TV Channels: StarSports (India), SkySports (UK). Match Preview: India started the world cup with a shock defeat in the hands of New Zealand but since than they have gone from strength to strength having won three back to back group games and qualifying for the semifinals. Their next assignment is unpredictable West Indies side who qualified as group 1 winners having won three games and losing against Afghanistan. 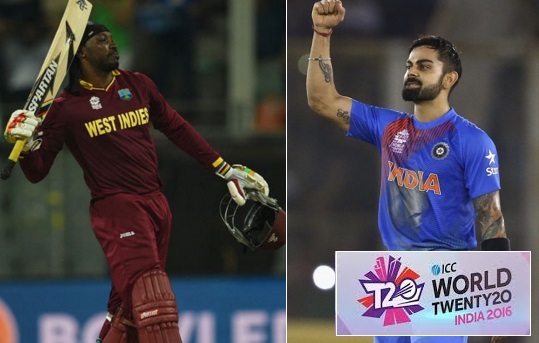 Its a massive game and pretty much a contest between Chris Gayle and Virat Kohli. Whoever performs on the days will most certainly guide his team to final. So far Virat Kohli has been up-to the task having scored 184 runs in 4 innings and two of those were unbeaten run chases against Pakistan and Australia. He will be key again on a Wankhede Stadium pitch usually a batting paradise. Chris Gayle on the other hand scored impressive century against England right on this pitch and he holds the key if West Indies were to produce surprise result in a game where India will most definitely be favorites. One might think its destiny of India to win this world cup as they were on the brink of getting knocked out when Bangladesh choked chasing 2 runs of last three balls. Incredible home support and a batting wicket in Mumbai will put some confidence in other top order Indian batsmen. India Playing XI: We are most likely to see the same playing XI which took the field against Australia. Yuvraj Singh’s ankle injury might be assessed and if he is unable to take part in the semifinal Ajinkya Rahane or Manish Panday might slott. West Indies Playing XI: Windies rested number of players against Afghanistan and we can safely assume full strength team to take the field against India. Match Predictions: India had to qualify the hard way, with their backs to the wall after defeat in opening game Dhoni and co has turned things around. They have made it to the semifinals even without playing top cricket. They might just click in semifinal and blow West Indies away. I think West Indies’s only chance of beating India heavily depend on Chris Gayle batting. If he turns up, West Indies has a decent chance other than that I can’t see Windies troubling India. Virat Kohli has taken the limelight so far and rightly so! but on Mumbai’s batting paradise wicket Rohit Sharma due a good knock and there won’t be a better stage for him to join the party and guide India to the final.